The "Take It!" came while commuting on 14th st NW which cuts across the mall and gives an excellent view of both the Capitol Building as well as the Washington Monument. The big snow storm had passed through our area two days before and the temperature had gone up enough to help start the melting process. Lets just say I was in a much relieved state of mind being out on the road with things improving. Passing through this scene was something I had done numerous times before without giving it much thought. 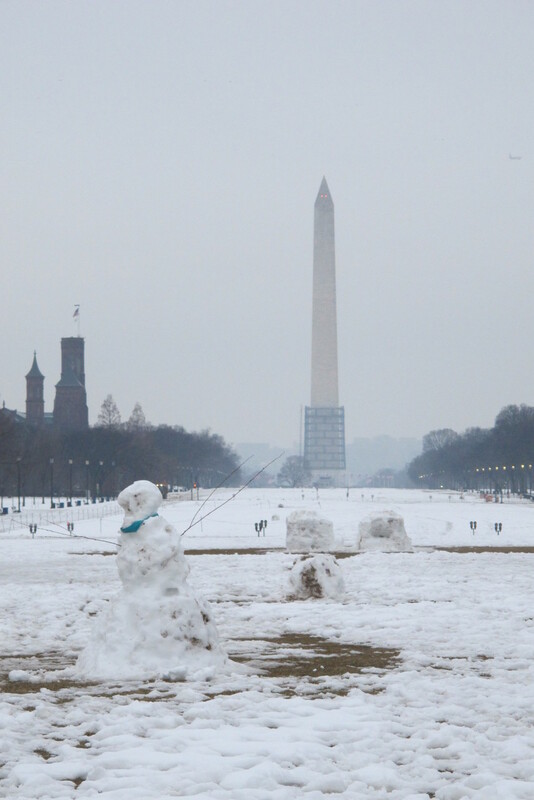 This time - it suddenly struck me after seeing several snow folk who were melting that this was one of the ideal places for one to engage in the spontaneity of building a snow person and having a great souvenir photo be taken in front of these famous structures. Heck - maybe even be next year's Holiday Season Card. The After Take: was enjoyable as I showed these photos to others I mentioned how it was a fun alternative to building such figures in the front yard of ones home. There was even suggestion that teams could be prearranged and descend upon the mall when another big snow hit to make up many figures. Maybe something on the order of the Terra Cotta figures in China. The image of what a photo op that would be especially from the observation windows in the top of the Washington Monument. Well, enough for my imaginings - This has been most enjoyable to share a captured photo from taking a second look while engaging in what began as just another "passing through." 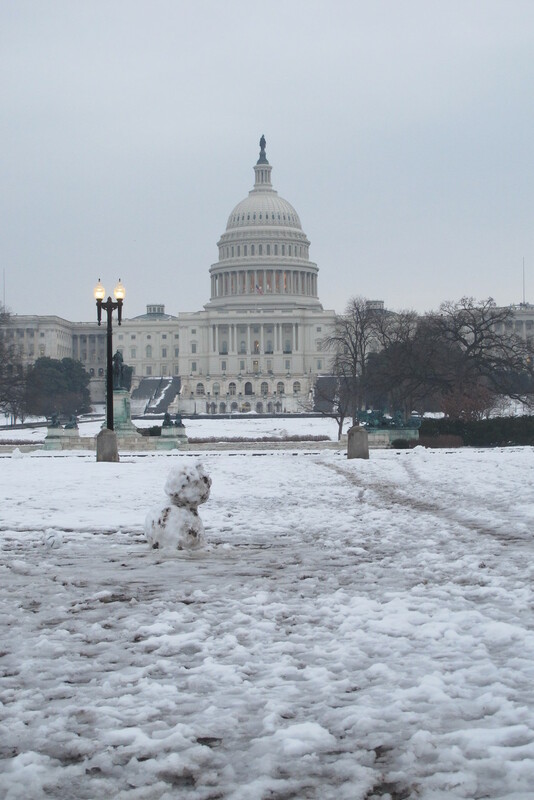 What a fun day that would make taking kids to the national mall and building snow forts and snowmen. Thats really cool, but I wouldn't have just left a scarf there. In that temperature they are probably needed. Looks like a cold day! Cool snowmen though. Awwww how cute. I would love to do this with our little one.